Hunting – We have decided to organize this category by brands, like Nikon, Burris, Leupold and others. Each of our manufactures pages take an overview of the hunting models available in their rifle scope line; and many of the models have a more detailed review page where specifications, pricing info, and other key statistics are given. 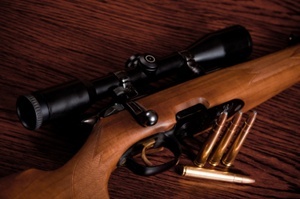 Tactical – Unlike the hunting category, the tactical scope section is broken down into types instead of by manufacturer. 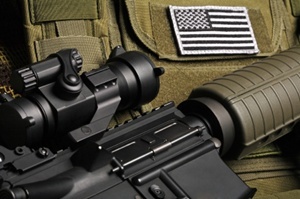 We currently have three categories under this section: AR-15 optics, Long Range, and Red Dot. 1-4x24 - On a 30mm main tube works well for tactical uses or dangerous game. 2-7x33 - A good option for compact rifles, and lightweight rifle builds. 3-9x40 - The go to big game magnification. Versatile, affordable, and wide selection. 3-9x50 - Extra light transmission for the first and last minutes of daylight . 4-12x40 - A good big game and varmint option if using one rifle for both. Target scopes - For competition and benchrest shooting. 300 Blackout scopes - Designed just for .300 Blackout shooters. Zombie scopes - Got Zombies? There is an optic for that. Rimfire - Currently our rimfire page consist of three large comparison charts two of which compare 4x magnification rimfire scopes while the third one provides a look at 2-7x magnification models. Currently there is also a 22 rifle scopes page which takes a look at version of rimfire scopes that are specifically calibrated for the 22lr cartridge. Nightforce SHV - A new line of scopes that start under $1000 dollars, the SHV (Shooter Hunter Varminter) is initially being offered in a 4-14x56 configuration with illuminated models available. Redfield Battlezone - An AR-15 optimized optic that comes with two interchangeable custom elevation dials one calibrated for .223 and the other for 7.62. This optic is priced to compete with the Nikon P-223.